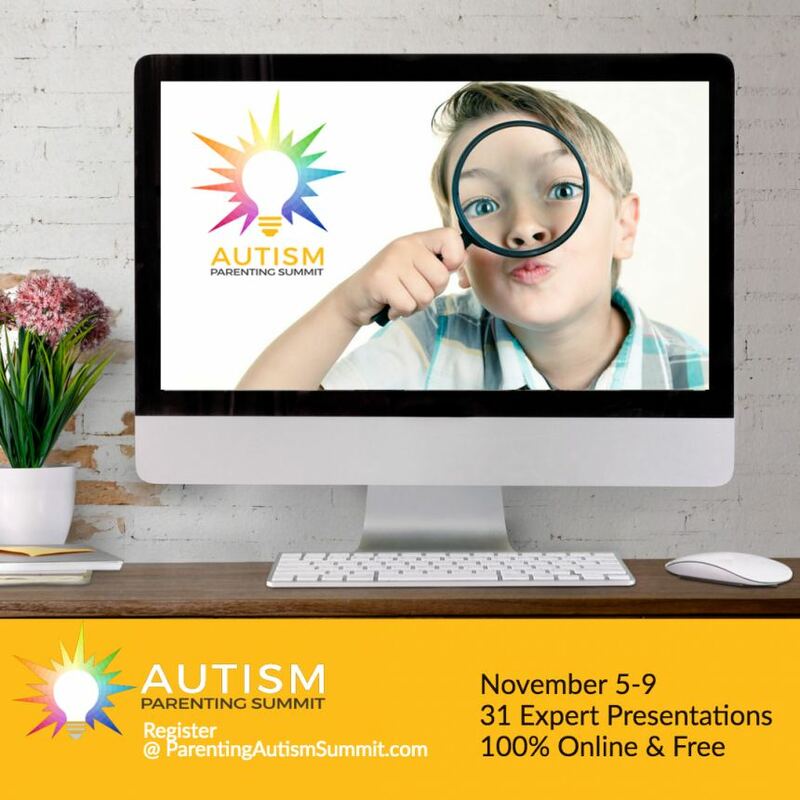 · 31 autism and parenting experts will share effective symptom management and parenting strategies for kids with less-obvious autism in a free online event airing November 5-9, 2018. · Parents will learn about the autistic experience, the impact of sensory struggles, effective symptom management, coping with emotional intensity, transitioning after high school, empowering your child for success, and much more. Riverdale Park, MD, October 14, 2018 — 1 in 59 children were diagnosed with autism in 2014, up from 1 in 150 in 2000. And the cost of supporting children with autism is overwhelming, with average medical expenditures that exceed those for children without autism by $4,110–$6,200 per year. But medical costs are not the only expenses families must bear. They also have to fight to get appropriate supports at school, and suffer lost wages when they are unable to work full time because they must take time off to advocate and care for their children. Mitigating these costs requires that families know how to effectively support their autistic children. To help families put appropriate supports in place, Penny Williams, of ParentingADHDandAutism.com and Sarah Wayland, of GuidingExceptionalParents.com, are hosting a free online Parenting AUTISM Summit that will go live Nov 5-9, 2018. Empowered parents empower their children. The Parenting AUTISM Summit will empower parents to help their children survive and thrive when growing up with autism. Learn about the autistic experience, and the skills, strategies, and mindset necessary to help your child be the best version of themselves that they can be. The summit features a stellar lineup of autism and parenting experts, including Dr. Dan Shapiro, Carol Kranowitz, Rita Eichenstein, Brenda Smith Myles, Monica Adler Werner, John Elder Robison, and more. About Penny Williams. Penny guides and mentors parents raising kids with ADHD and/or autism. She's the parent of a son with ADHD and autism, and the author of three award-winning books on parenting kids with ADHD: Boy Without Instructions, What to Expect When Parenting Children with ADHD, and The Insider's Guide to ADHD. Penny is the current editor of ParentingADHDandAutism.com, Founder and Instructor for The Parenting ADHD & Autism Academy, and a frequent contributor to ADDitude Magazine, and other parenting and special needs publications. About Sarah Wayland, Ph.D. Sarah is the owner and founder of Guiding Exceptional Parents, LLC (http://www.GuidingExceptionalParents.com). Her work focuses on providing parents with the tools they need to help their children with ADHD, autism spectrum disorders, learning disabilities, giftedness and other challenges that make it hard to function in school or at home. She teaches parenting classes as well as classes on parent self-care, and provides individual coaching in the home, at her office, or by video.